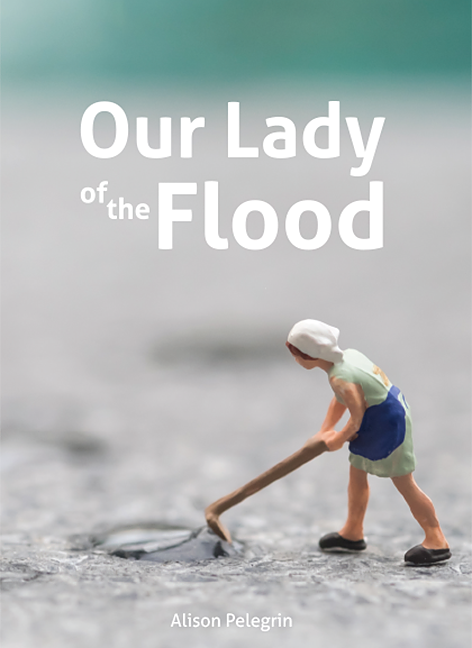 Alison Pelegrin’s new chapbook is part hymn, part elegy for a post-Katrina South. It’s an ode with its eyes wide open, missing nothing. Pelegrin sees the roadkill and floodlines, the Robert E. Lee statue and KKK recruitment office, and raises you “the longest bridge in the world” (14). She sets before you feast after makeshift feast, where “So many relatives, angels gasping like trash fish on the pier,” gather around a cardboard table in the garage to partake of ambrosia, a “foam of jeweled fruits” that is “on no page of the low carb bible” (6). whose magic halts floodwaters at the chapel steps. The tension is even more nuanced in poems such as “Excising a Memorial to the Confederate General Robert E. Lee.” The speaker acknowledges upfront that the statue has got to go, but moves beyond this statement to explore how her rootedness leaves her conflicted: “why the scrap / of rebel in me clinging to this piss-soaked ground / / where his pillar stands” (10). Pelegrin deftly maneuvers scene changes from memorial to Mardi Gras to Confederate battle reenactments to doctors on the sidelines who had to hack limbs, “sometimes, to save a life” (11). She casts herself “as killer angel in this tale, my gown a mop for blood, / my handiwork a regiment of empty sleeves / / shaking their defiant, phantom fists at the sky” (11). Anyone writing into the challenges and peculiarities of one’s own culture would benefit from Pelegrin’s unabashed honesty. She writes toward a broader empathy and appreciation, both tender and critical about her native state, leading readers through puked-on streets, past a curtain of kudzu, across manifold bridges, “surefooted through labyrinths of debris” (5).